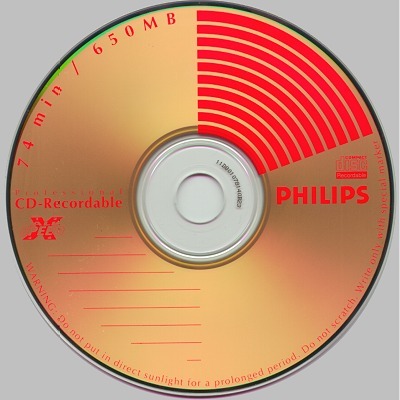 This news item was first published in September 1998, since then Philips has not used RiTEK to manufacturer their CD-R media. They are currently using the Philips Premium Silver CD-R media which is made by Taiyo Yuden. The quality of this CD-R media is very good! 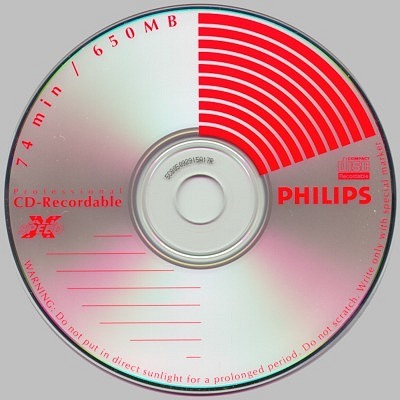 The RiTEK made Philips CD-Rs were indented for the Asian because of CD-R shortages. A few European CD-R resellers caught wind of this and imported a big number of them into Europe, as they were much cheaper then the regular Philips media. Towards the end of 1998 these low quality media was not sold anymore. Info If you compare the number, total sector size and the Dye Color on this CD-R and that of the Arita Multi-Speeds than you can see that they are EXACLY the same... This means they are from the same factory! (this also means that buying Arita's is cheaper than buying these IQ's!). Both Arita and the IQ CD-R's are made in the Ritek Co. Factory. The normal price for Philips Silver CD-R is around NLG 3,75 (= US$ 1,85) a piece. These IQ's are sold around NLG 2,75 (= US$ 1,35) a piece. This price is even below the normal dealer price of the official Philips dealer here in The Netherlands. The Arita's are sold for around NLG 2,40 (=US$ 1,15) a piece. These CD-R's are still sold at fairs in the Netherlands (PC Dumpdag Amsterdam 22/08/1998 & InterExpo Utrecht 30/08/1998). Earlier we stated that Opus Supplies was also selling these IQ's. We were contacted by Opus that this is incorrect and that they are only selling the original Philips Premium Silver CD-R's. We apologize for this misunderstanding. Reseller Due to possible 'legal' problems we can't mention who is selling these so-called Philips CD-R's. 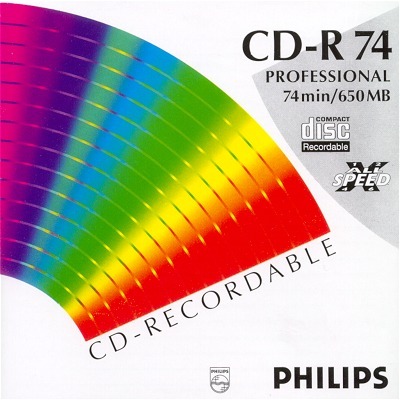 Just know that these CD-R's are still being sold and that they are of inferior quality than the 'real' Philips CD-R's. If you think these IQ's are good CD-R's then just think about getting the Arita Multi-Speed or NoName Multi-Speed CD-R's as they are all from the same factory and are much cheaper! First of all, you make a comparison between Philips Premium Silver cdr’s and Philips Regular Silver cdr’s to underline that the cdr’s we sell are fake. Obviously both cdr’s do not meet the same specifications. Secondly, Ritek is manufacturer of both Arita and Philips cdr’s. Philips works with several manufacturers in the world to meet the big demands for cdr’s. These factories all manufacture under Philips license. All Philips Regular Silver cdr’s that are on the market now are manufactured by Ritek. 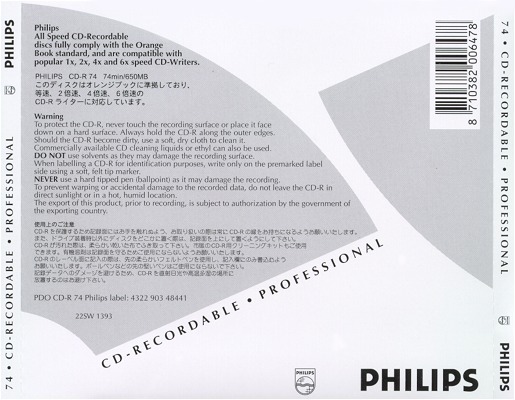 Although the packaging might not always be the same, the cdr’s itself are and they are all manufactured according to Philips. specifications. If the above is true then Philips has lost it's good name creating this inferior quality CD-R. But draw your own conclusions! The Philips Silver IQ's and the Philips Green IQ's are fairly easy to spot. Usually they are sealed in plastic then you can only rely on the difference in the Nodges on the jewelcase and the Chinese text on the BackCover. Note: This value may vary on newer CD-R/CD-RW writers (but still it is different)! The "Bottom Color" (Dye) is dark-blue instead of light-blue. The number that is printed in the middle of the IQ's is printed in a circle instead horizontally (see below). The nodges, on the right side of the jewelcase, to keep the front cover in place have almost always been round for Philips CD-R's. The IQ's don't have these round nodges (see below). On the backcover of the IQ's there is some Chinese text printed. For the European market this text should have been in French. The inlay of the jewelcase is very bad as it will almost falls out by itself when opening the case (this is common with CD-R's manufactured by Ritek).